The Russian fighter flies within 5 feet of the American patrol aircraft. 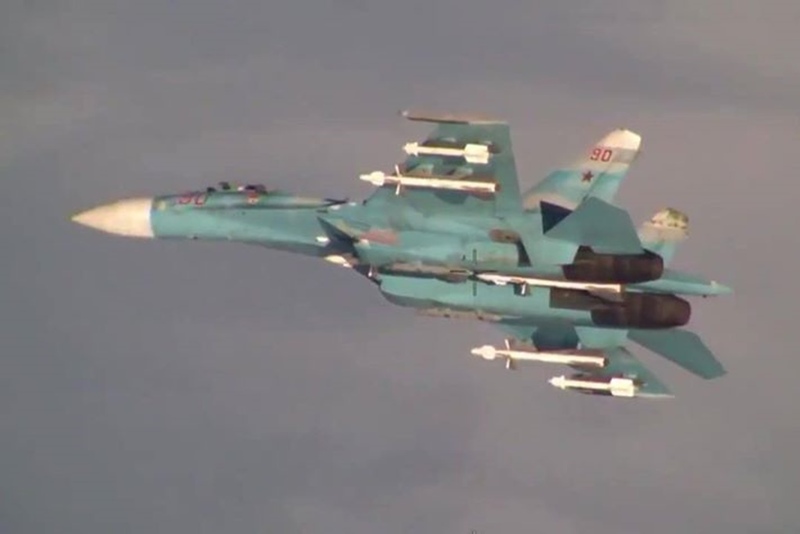 The U.S. Navy has released a video showing a EP-3 Aries aircraft intercepted by a Russian Su-27 while flying over the Black Sea. It happened on Jan. 29, 2018. This interaction was determined to be unsafe due to the Su-27 closing to within five feet and crossing directly through the EP-3’s flight path, causing the EP-3 to fly through the Su-27’s jet wash. The duration of the intercept lasted two hours and 40 minutes. According to the press release, the U.S. aircraft was operating in accordance with international law and did not provoke this Russian activity.